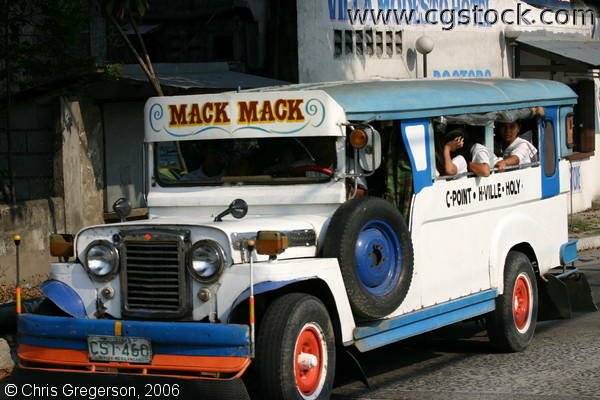 Jeepneys (jeeps) are public means of transporting passengers from one place to the next. They were originally made from surplus World War 2 US military jeeps which were stripped down and refurbished for public use. Eventually, some factories and workshops produced them in the country but only a few because of these companies remain due to the slow down in jeepney sales. The jeepney has been considered as one of the symbols of Filipino culture because of the customized, ornate designs and vibrant colors added to it by its Filipino owners and drivers.